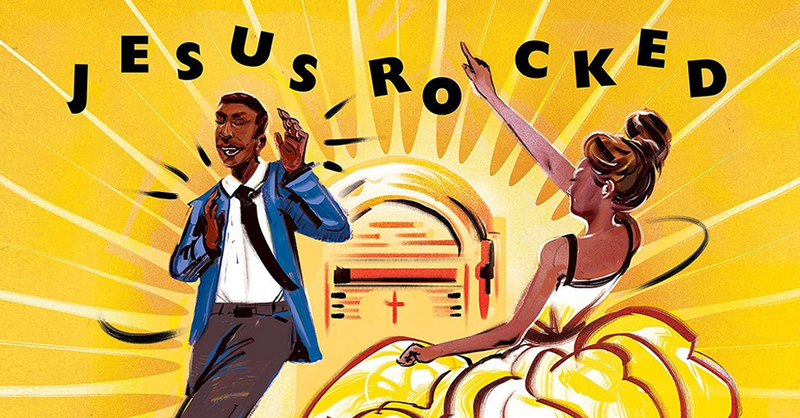 Jesus Rocked The Rock Jukebox is an excellent, uplifting new collection of gospel music that showcases the songs and groups that laid the foundation for Soul, R&B, and Rock. The collection includes songs by The Blind Boys of Alabama, The Swan Silvertones, The Staple Singers, The Highway QC’s, The Pilgrim Travelers, Sam Cooke, The Chosen Gospel Singers featuring Lou Rawls, The Harmonizing Four, and others. The collection also includes in-depth liner notes by gospel scholar and historian Robert Marovich, one of our project’s main contributors. Marovich is the author of the indispensable A City Called Heaven: Chicago and The Birth of Gospel Music. He is also the editor of The Journal of Gospel Music website. Black sacred music’s influence on popular music was inevitable if you consider that the church was the primary music school for generations of African American singers and musicians. The list of R&B and soul artists who honed their skills singing in the church choir, accompanying the church choir, or performing as part of a gospel group or quartet is prodigious. Billy Preston was an in‐demand gospel organist well before he became the Fifth Beatle. Curtis Mayfield and Jerry Butler sang together in a Spiritual church choir before organizing the Impressions. Wilson Pickett was lead vocalist for a Detroit quartet named the Violinaires. A young Etta James sang with the Echoes of Eden Choir of Los Angeles’s St. Paul Baptist Church. She considered the choir’s director, J. Earle Hines, her first singing teacher. James Brown sang with the Gospel Starlighters, a gospel quartet that formed the nucleus of his Famous Flames. And we all know Aretha Franklin’s story. The lineage is linear: gospel vocalists such as Clarence Fountain of the Blind Boys of Alabama and Kylo Turner of the Pilgrim Travelers channeled the impassioned utterances of African American preachers into their hard‐shouting lead singing. In doing so, they and others inspired a legion of R&B, soul, and rock and roll singers. You hear the distinct echoes of the black church in Pickett, Franklin, and Brown, as well as in Otis Redding and Ray Charles. The showmanship, choreography, and stylish attire of gospel quartets going back to the 1940s also influenced the performance styles of 1950s vocal groups, Motown ensembles, and rock‐and‐roll bands. Listen to Jesus Rocked The Jukebox below.